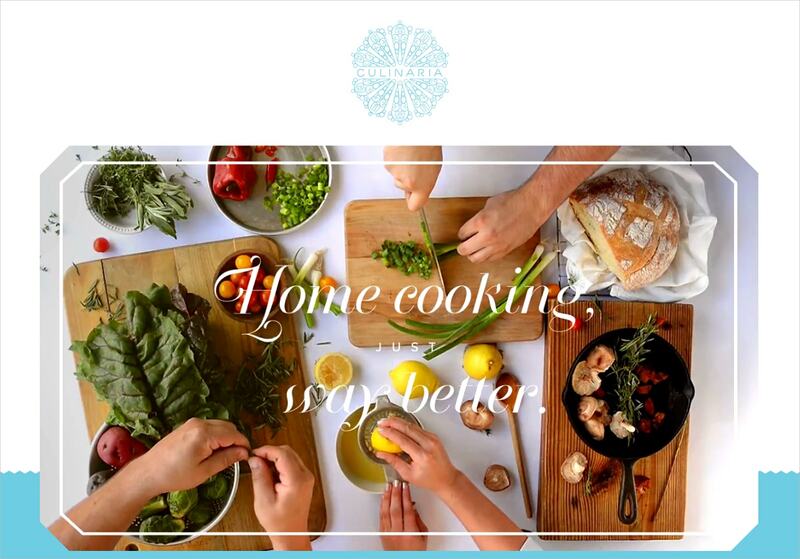 With the help of food websites, restaurants and recipes are now at your fingertips. There are numerous food and drink websites, like the ones below, which give you complete access to exotic recipes from around the world. We have handpicked ten of the best, user-friendly websites for you to make the most of! For those who are interested in cooking or discovering new and innovative recipes, these websites are just what you need. You can also see Examples of Websites With Blurred Images. 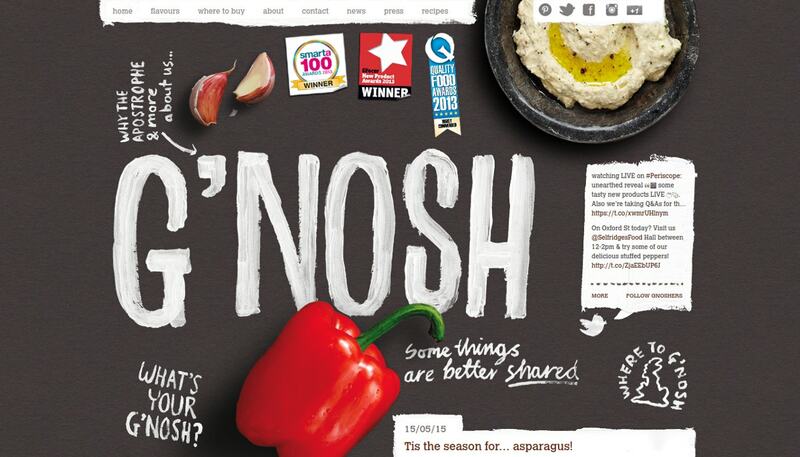 G’Nosh is a website based in London and is entirely dedicated to dips and sauces of all kinds. The website has a neat and structured layout and is compatible on both desktops and mobiles. La Banquise is a vibrant, quirky and informative website about your favorite food items. Here, you’ll find a well-organized menu, historical and cultural references, and a perfect balance between text and images to give you an insight into the bigger picture. Also, the website is responsive which makes it fairly easy to navigate through. 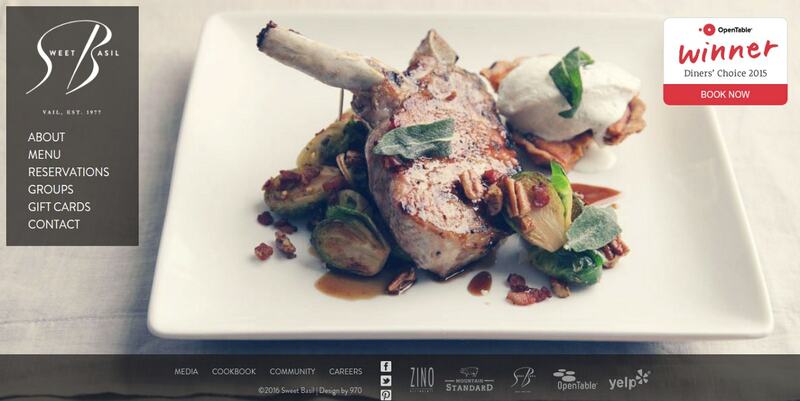 This is the official website for a restaurant located in Vail. The website itself stands true to the imaginative and creative aura of the restaurant. Also, the website is commendable in terms of design since it has a well-organized layout which makes it easier for the user to operate. One look at the official website of The Bagel Bar Coffee House is sure to make you salivate. The website opens directly to the home page which gives you a list of all the dishes you’ll find here. Apart from that, the website has been kept as simple and to the point as possible. 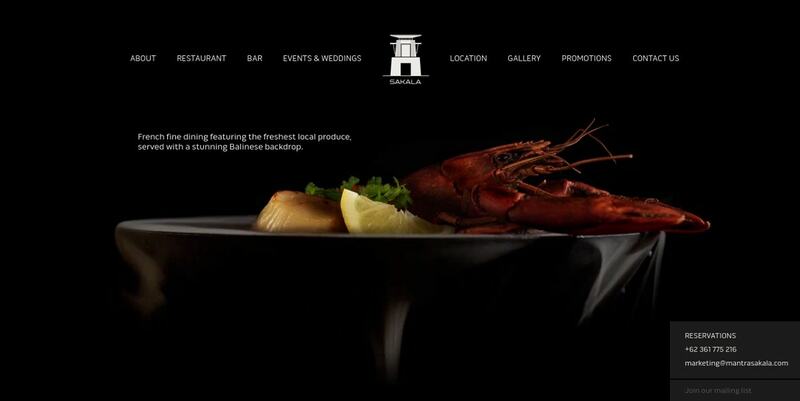 This is the official website for the amazing restaurant named Sakala located in Bali, Indonesia. 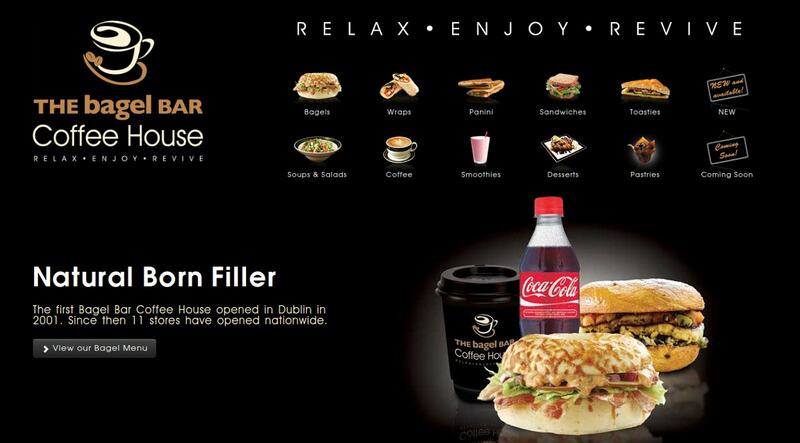 The website gives a clear picture of the menu of the restaurant which makes it easier for the user. Also, the home page is loaded with relevant and helpful information like contact details or opening hours. 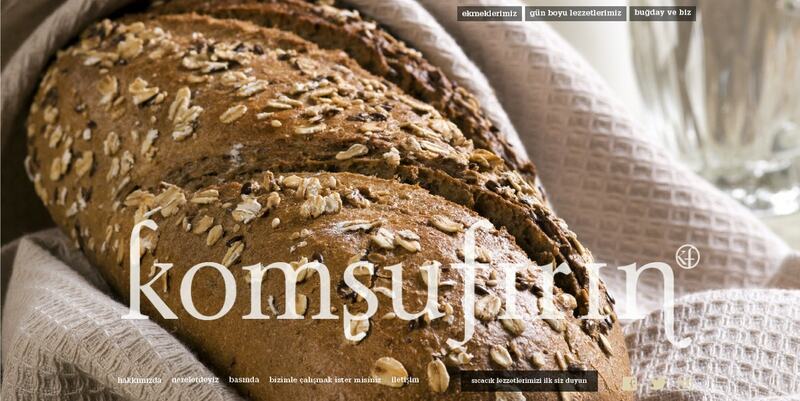 Komsufirin is a website devoted completely to baked goodies, as can be seen from the very first page. The landing page emphasizes on images which are enough to trigger curiosity within the user. Also, one must take note of the strategic placement of icons which provide for easy navigation. This website mainly serves as a portal that can direct you to the appropriate website. For example, if you are looking for places to eat and drink, you could click on the appropriate icons and you would be redirected to another website. You would also be allowed to shop for food items through this website. This website showcases food like never before. The first thing you notice about the website would be the vibrant color scheme. It takes a step away from the typical color schemes and embraces a warm, light blue color. Also, the website establishes the fine balance between textual and picture elements. If you are talking of classic American food, you cannot miss out hot dogs. The website focuses a lot on information and presents it in an organized and sophisticated manner. The website also has a very fun and quirky appearance which adds to the charm. 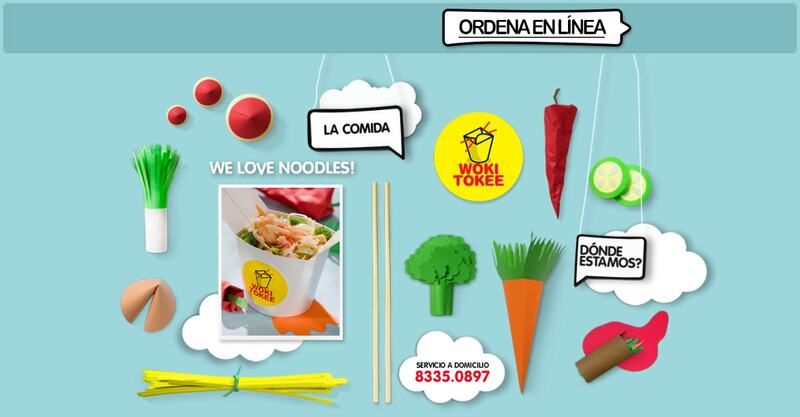 Woki Tokee is the official website of a restaurant of the same name. The best part about the website is that it is detailed and provides an in-depth description of the food items in stock. For someone looking for a bit of information, this website would come in handy. These are ten of the best food websites that are sure to win you over. Here, you’ll find countless lip smacking recipes and menus which you can take inspiration from and even create your own. 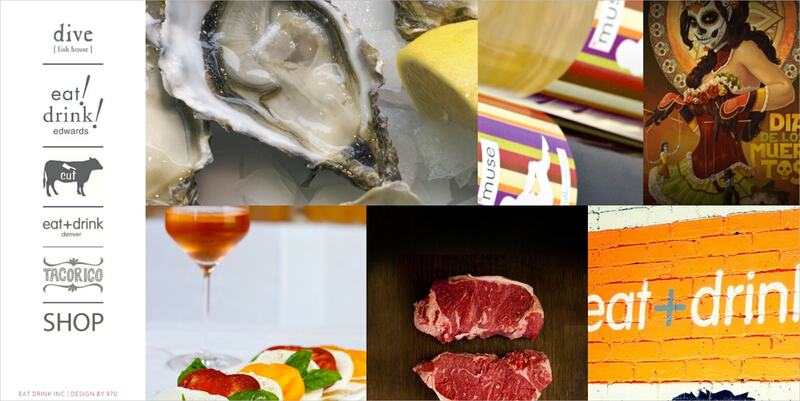 For epicureans who enjoy good food and drinks, these websites have just what you require.